2015 Ford F-150 XLT Tuxedo Black 4WD EcoBoost 3.5L V6 GTDi DOHC 24V Twin Turbocharged 6-Speed Automatic Electronic Odometer is 20895 miles below market average! This vehicle features: Rear Parking Sensors, Remote Starter, Ecoboost, Touchscreen, Heated Front Seats, Bedliner Rug, Fog Lights, Power Heated Mirrors, Tonneau Cover, Fixed Running Boards, Cruise Control, All-Weather Floormats, Adjustable Steering Wheel, Steering Wheel Audio Controls, Power Adjustable Pedals, 4WD, Trailer Brakes, Automatic Transmission, Tow Package, 2 Keys, Sports Package, Power Seats, and much more, 4WD. At Driven Auto Sales we find excellent cars with amazing prices and pass the savings to you, our customers. All of our cars have clean titles and are handpicked to meet your satisfaction. We offer financing options through most local credit unions and will take the time to help you find the best rate possible. If you have a vehicle you'd like to trade we accept those and would be happy to get you an appraisal. Most of our vehicles have the manufacture warranty still in place but do offer extended warranties up to an additional 5 years and 100,000 additional miles. Visit our website for our full inventory and CARFAX reports. Call/text us at (801) 477-0895 or stop by today to have a no pressure buying experience and see why we are one of Utah Counties fastest growing companies! Hablamos espanol! Para mas informacion de este vehiculo, llame o mande un mensaje a Bryson. (801) 690-7624 Visit Driven Auto Sales online at www.drivenautoutah.com to see more pictures of this vehicle or call us at 801-477-0895 today to schedule your test drive. Awards: * NACTOY 2015 North American Truck of the Year * Green Car Journal 2015 Green Car Technology Award * 2015 KBB.com Brand Image Awards Based on 2017 EPA mileage ratings. Use for comparison purposes only. Your mileage will vary depending on how you drive and maintain your vehicle, driving conditions and other factors. 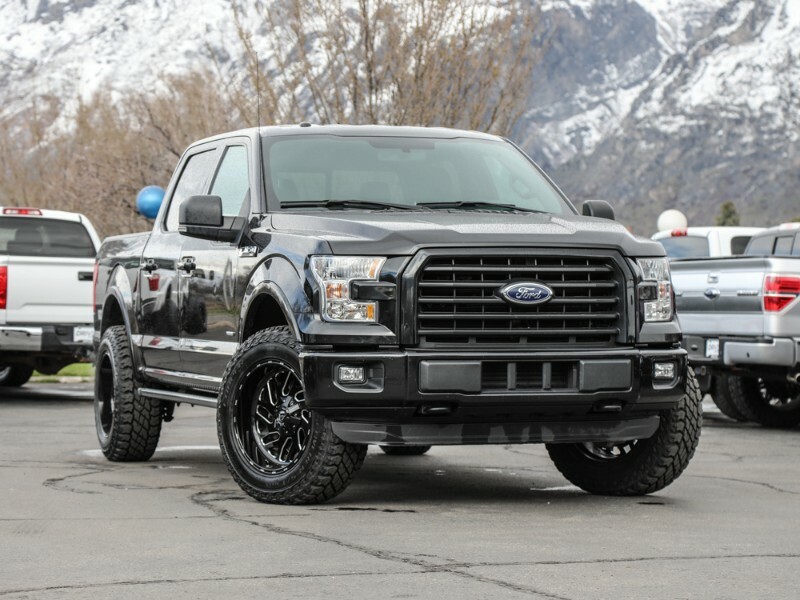 Visit Driven Auto Sales online at drivenautoutah.com to see more pictures of this vehicle or call us at 801-477-0895 today to schedule your test drive.